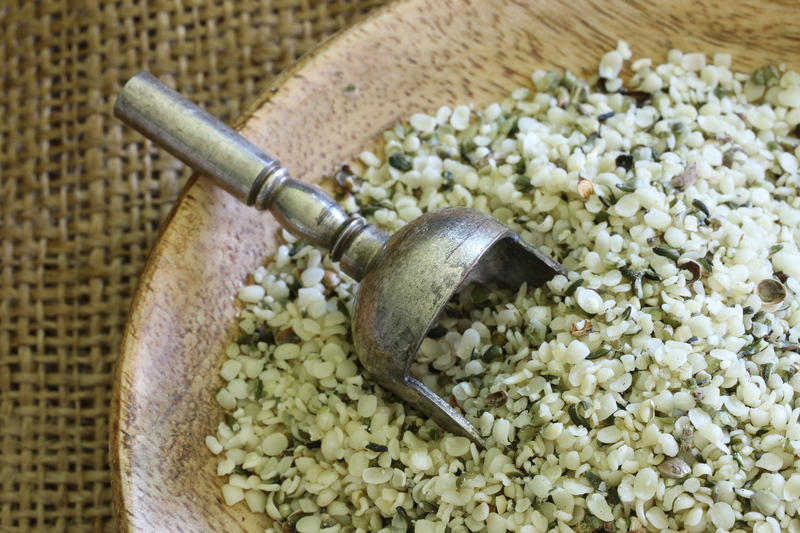 This article on hemp seed benefits and how to use them is a simple, easy to read introduction to hemp seeds, why they re good for you and simple ways you can introduce them into your diet. Hemp seeds look a little like sesame seeds in appearance and I personally think they taste a bit like a cross between a sesame seed and sunflower seeds, although with a slightly nuttier and creamier taste. Hemp seeds are the seeds of the hemp plant, Cannabis sativa. They are from the same species as marijuana plant cannabis but they are a different variety. Unlike cannibis, they contain only trace amounts of THC (tetrahydrocannabinol,) the psychoactive compound in marijuana. So, you won’t be having any mind-altering experiences by including these in your diet. Because they can contain traces of THC, do be aware that any athletes and others who undergo drug testing for sport or work, can potentially lead to failed urine tests as there can be minute (extremely small) levels of THC in the seeds. Hemp seeds are an amazing source of protein, antioxidants and omega fatty acids. The level of THC in any hemp-based product depends on the suppliers and the manufacturing process but in hemp seeds in regulated countries. The amount of THC we are talking about in Hemp seeds is potentially absolute minimal traces. Amounts allowed in consumable food products is tightly controlled in places such as the US, NZ. UK, Canada and Australia, so you shouldn’t have any issues with using them. These countries all have stringent rules for manufacturing to prevent cross contamination, so consumers are can safely use hemp seeds. Australia has only recently allowed hemp seed products to be sold as a consumable, and manufacturers must follow strict manufacturing guidelines in bringing their product to market. There would be zero tolerance for higher levels as THC is a mind-altering drug. As with any food, if you use hemp seed as part of a balanced diet, and sourced from a reputable manufacturer, a then you shouldn’t have any issues with adding them to your diet. If you have any queries about including hemp seeds in your diet, make sure you seek advice from a knowledgeable professional source. I would be particularly cautious about using them if you have had an issue with marijuana use in the past, and would definitely seek professional advice before using them in this instance. How can you buy Hemp Seed? Hemp seeds can come as whole seeds, in powder form, or as hemp hearts/hulled hemp seeds. You can also buy or make your own hemp milk and there is also hemp protein powder on the market as well, which is a plant-based alternative to whey protein powder. 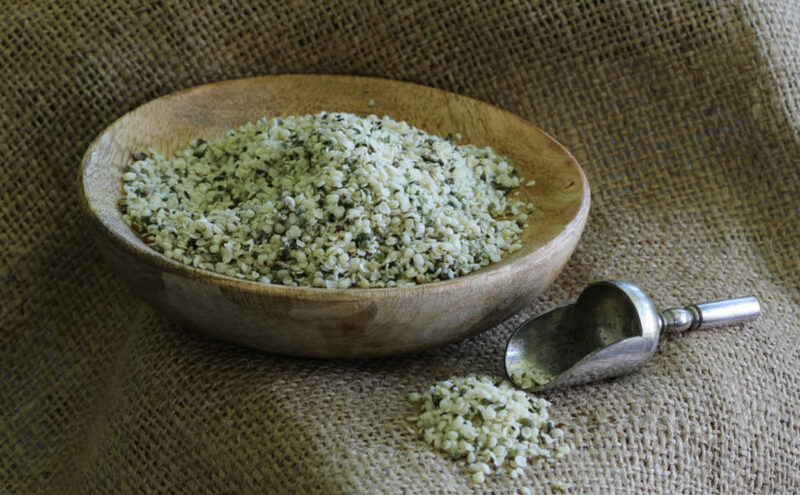 If you source whole seeds, you can remove the outer shell of hemp seeds by processing in a food processor or by simply using a mortar and pestle. You can generally find hemp seed and hemp products in supermarkets, local and online specialty stores. I generally find a fairly limited range in the local supermarket but I can always buy hulled seeds. It is becoming more popular though so more products are starting to show up in supermarkets. Hemp seeds contain high levels of antioxidants which can assist in protecting the body from free radicals. They are high in vitamin E, an antioxidant that can help protects body tissue from damage caused by substances called free radicals, which can harm cells, tissues, and organs. Hemp seeds are also an excellent source of essential fatty acids, minerals, and vitamins. The shells are a great way to add fibre to the diet and grinding the seeds can assist the body to absorb more of the nutrients. Hemp seeds are high in polyunsaturated fats (PUFAs) which are showing promising results in the treatment of Alzheimer’s disease and also in preventing cardiovascular disease. The seeds also provide essential minerals, particularly iron, magnesium, zinc, phosphorus, calcium and potassium. They are a good source of calcium, iron, magnesium, potassium and zinc and they also contain all essential amino acids, which is rare in the plant world as not many plants have the amino acid lysine. Note that quinoa is the same Hemp seeds are also a complete source of protein, meaning they provide all nine essential amino acids. Amino acids are the building blocks for all proteins and the body cannot produce nine of these acids, so a person must absorb them through the diet. Hemp seeds contain almost as much protein as soybeans and it is also a protein that is easily digested. Most complete proteins come from animal foods such as eggs, meat, fish and dairy and very few plant-based foods are complete sources of protein, making hemp seeds a valuable addition to a vegetarian or vegan diet. Hemp seeds are a great source healthy fats and essential fatty acids, such as alpha-linolenic acid (ALA), which is an Omega-3 fatty acid and is a heart healthy fat that also provides support for brain development. They are also high in Omega 6 fatty acids and actually have a well-balanced ratio of Omega 3 fatty acids to Omega 6 fatty acids. The recommended ratio being (3:1) Omega 3 to Omega 6 essent fatty acids Omega 6 fatty acids are essential, and they have potential benefits for degenerative diseases such as cancer, cardiovascular disease and possibly even Alzheimer’s, but much of the population ingests way too many Omega 6 fatty acids in comparison to Omega 3’s and this has led to fatty acid imbalances , that can contribute to inflammation. It is believed that this may contributes to inflammatory disorders and illnesses such as metabolic syndrome, type 2 diabetes, arthritis and rheumatoid arthritis. This nutritional data is from a bag of Australian Hulled Hemp Seeds produced by Honest to Goodness. Hulled hemp seed, hemp nut, shelled hemp seed or hemp hearts are all essentially the same thing, and it is what you are left with when you remove the crunchy outer shell of the hemp seed. Generally it is what you will find in the supermarkets and stores as it is by far the most popular hemp seed product. The benefit to the hulled seeds is that they are slightly lower in carbs and you are also getting more concentrated amounts of essential fatty acids and other vitamins and minerals. The hull is quite crunchy so it is removed basically to make the seed more appealing to eat. Note that you are removing a good source of fibre and vitamins and minerals when you buy hemp seeds this way, but most people find the crunch too much in whole seeds. You can buy roasted whole seeds from iHerb but I have never tried them myself. How Do You Use Hemp Seeds? My favorite way to add hemp seeds into my diet is to sprinkle some onto whatever cereal I am having for breakfast, which is generally my low carb muesli with yogurt and berries. 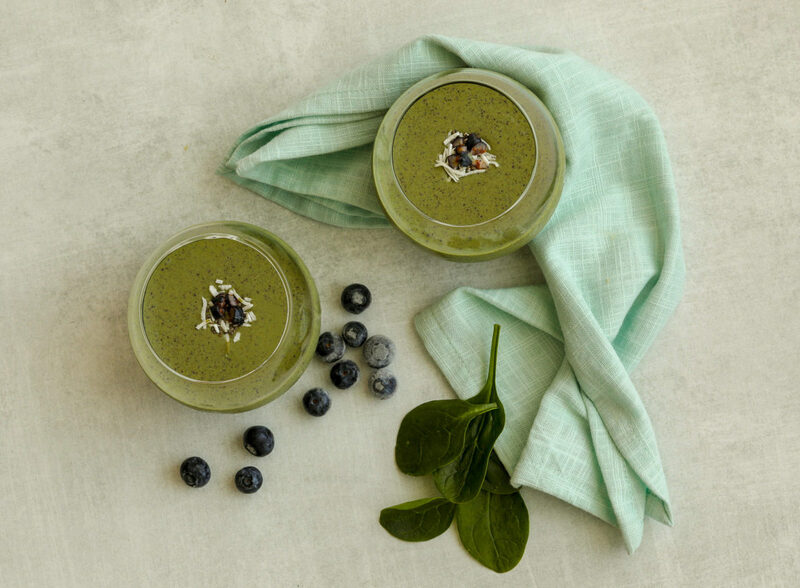 They are perfect to add to smoothies such as this recipe for Sugar Free Blueberry Chia Protein Smoothie, granola or just to sprinkle on your eggs for a bit of crunch (mmm… along with some dukkah.) You can buy hemp milk, but you can also make your own to use as a milk replacement or for use in smoothies and baking. Try adding hemp seeds to salads and vegetables for a nutritional boost. They also make a great replacement for quinoa in salads and other dishes and are also perfect to switch for bulgur wheat (cracked wheat) in Tabbouleh. If you buy hulled hemp seeds, just be careful with storing them as they are susceptible to going rancid. You might be better off to buy them in smaller amounts, and always check the use buy date on a packet if you buy them packaged. Keep them in a dark cool place or store them in the fridge. 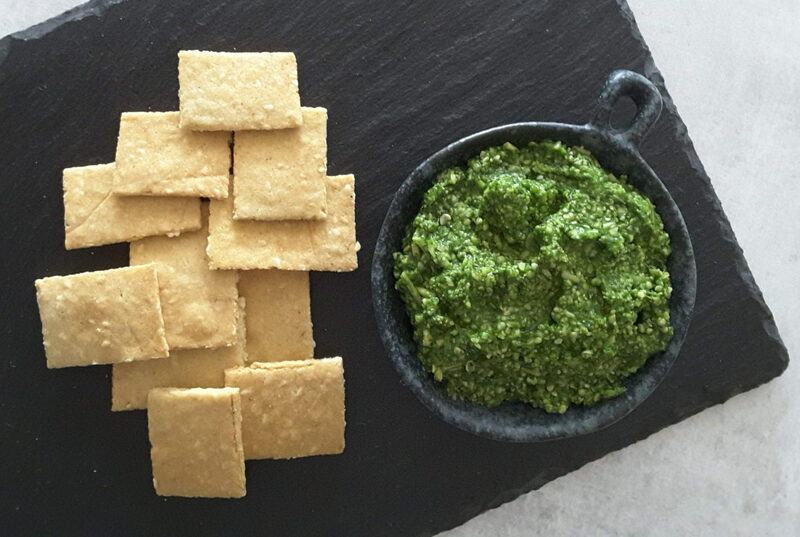 A really simple recipe that you could make using hemp seeds is this delicious recipe for Hemp Seed Spinach Pesto, which is featured in the image above. It takes no time to prepare and you would be hard pressed to work out that it wasn’t a traditional version of pesto. 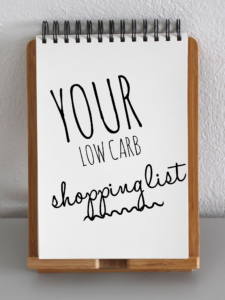 Low Carb Seed Loaf and Healthy Low Carb Bread are another couple of recipes where you are given the option to add hemp seeds. Another simple way to add hemp seeds in to your diet is to add some to your muesli or breakfast cereal. You could also make up some Low Carb Muesli, which also has the option of adding hemp seeds to the recipe, and it’s delicious for breakfast or for a snack, especially with berries and yogurt. 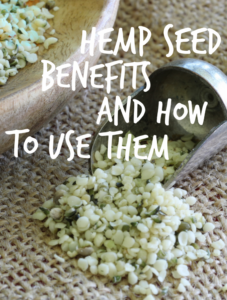 If you haven’t tried hemp seeds, then perhaps this article might inspire you to add them to your shopping list and give them a try. 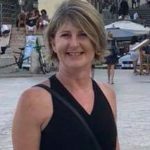 They are being touted as a super food and when you read how good they are for you, you can understand why. The fact that they are so high in protein, essential fatty acids, antioxidants and magnesium are what encouraged me to buy them. If you are a vegan or vegetarian, or just trying to make healthy food choices for you and your family, then perhaps it’s time that you tried these, and start including them in your diet.